Come and join us for a fun filled day on our 28' - 285 Baha Cruisers Fisherman on Lake Michigan. Specializing in Salmon, Lake Trout, and Steelhead. 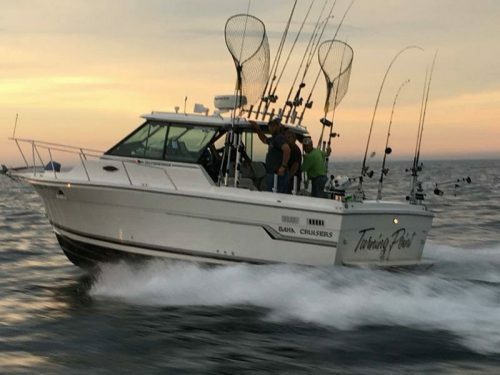 We hope to see you soon reeling in your trophy fish aboard the Turning Point. Your catch of a lifetime is waiting!